Evolutionary VS Revolutionary Spirit design. 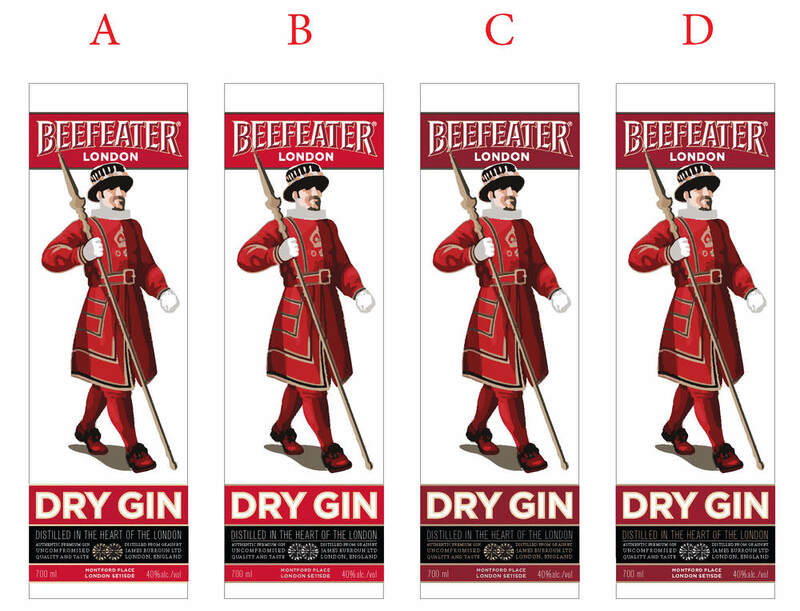 The task to redesign the current Beefeat Dry Gin label toward two directions. The evolutionary approach uses subtle changes highlighting dynamic attributes on the current label system. The revolutionary takes the label in a illustrative and different direction from its norm. 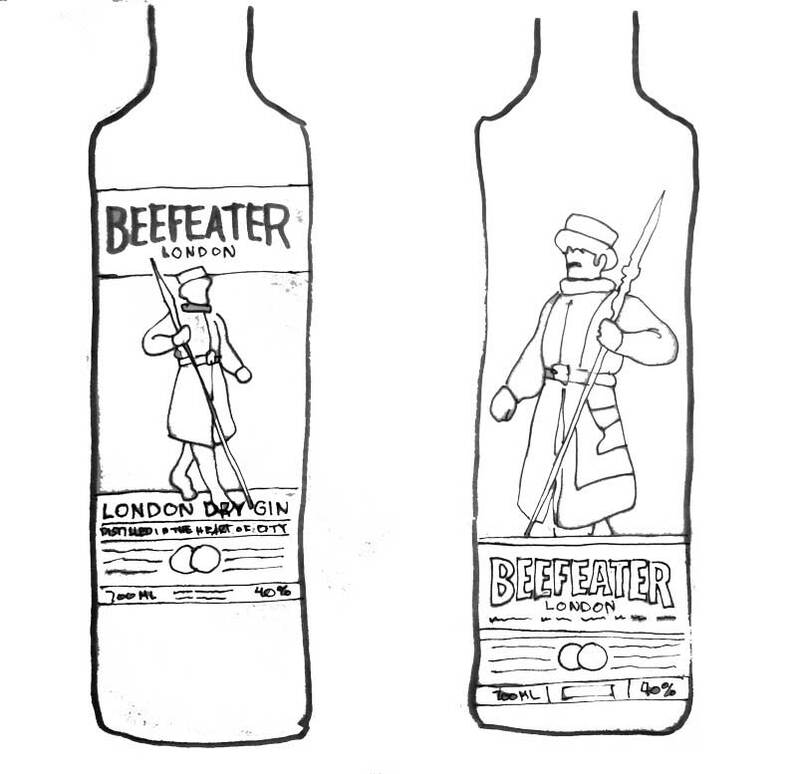 To evolve the current design of Beefeater Gin label while still upholding there brand recognition and integrity. 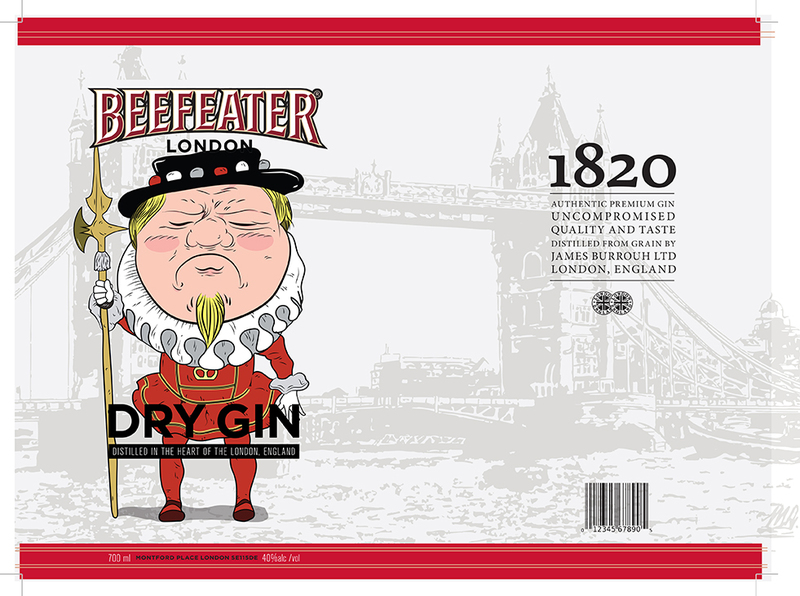 The new design will feature qualities of the old labels and still have that distinct Beefeater look and feel, while still creating a fresh new look for them. The revolutionary design will go outside the usual bottle shape for gin. 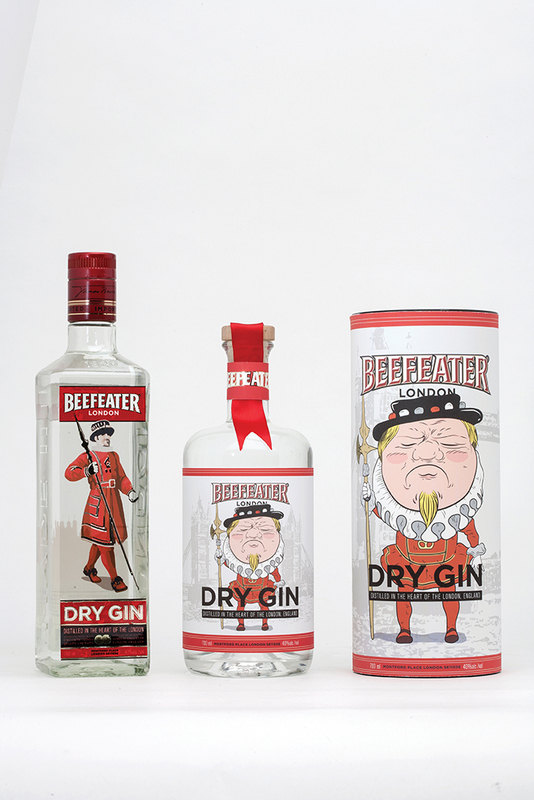 The idea to establish a whole new look, but still upholding Beefeater Gins brand and design integrity.